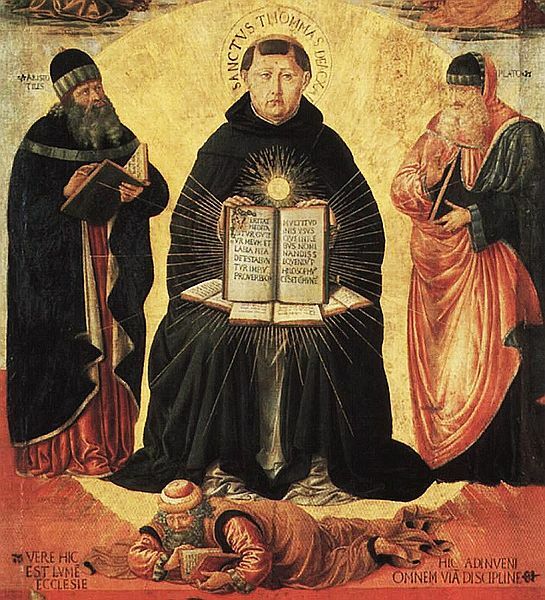 One of the most brilliant minds in the history of the Church, St. Thomas Aquinas was born in 1225 at the castle of Roccasecca, in the present day Lazio region of Italy, the youngest of nine children. Thomas’ father was a man of means and nobility. 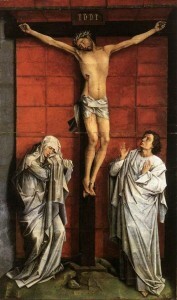 Thomas’s mother would try to prevent Thomas from joining the Dominican Order. 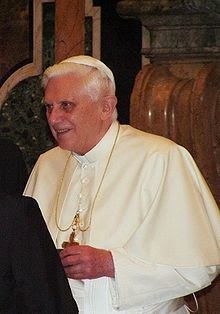 His family expected him to enter the Benedictine Abbey where his uncle was the abbot. 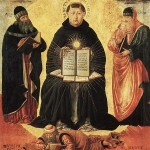 Thomas Aquinas dedicated his life to creating a complete synthesis of Catholic philosophy and theology. In honor of his feast day, [January 28] here are ten things every Catholic should know about the Angelic Doctor. 1. 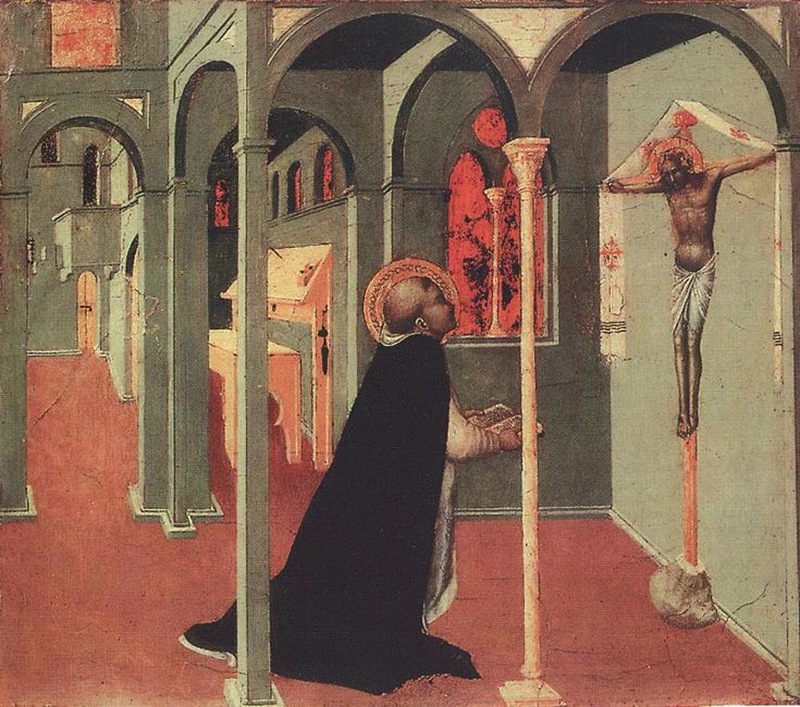 Before Aquinas was born, a holy hermit told his mother that her son would be a great learner and achieve unrivaled sanctity. In Part One I suggested that by gazing into the mirror of Christ Crucified we can see answers to the question What is Man? (male and female) because Jesus is an icon of what a human should be like and because His situation is emblematic of the human condition. I proposed that ‘Man is loved and lovable‘ is one conclusion we can deduce and that ‘Man is a sinner’ is another. 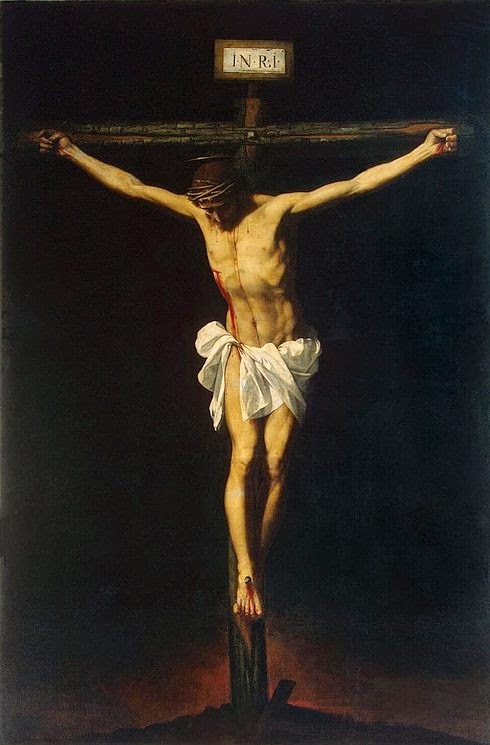 The Crucifixion is something voluntarily endured by our Lord because it is the efficient means for redeeming fallen humanity. We can deduce from this that, insofar as He is representative of us, that we can add ‘Man is a lover,’ that is one who loves, to our list of essential human qualities. However, although we can say that Man is loved and lovable unconditionally we must qualify the truth that Man is a lover with the fact that he is also a sinner. This means that every expression of love or feeling of it is, at least potentially, tainted by sin which is produced by disordered affection for or attachment to certain inferior goods at the expense of Good as such. … St Clare (like many of the women who have taught the universal Church) showed great wisdom when she suggested that it is Christ Crucified who reveals ourselves to ourselves most fully. He does so, I would suggest, in two ways: as He is in Himself we get a positive vision of what Man is or should be and through Him as He is situationally we can make inferences about Man. Before answering the Why question a philosopher would ask the What questions- what is morality? what is a moral life? After answering the What and Why they would likely then proceed to the How questions- how can I live ethically? how can human societies be collectively moral? This helps explain why philosophy books tend to be quite big and not very popular. They seem to spend a lot of time proving what the reader already knows to be true or attempting to disprove what the reader thinks of as ‘common sense.’ Religion appears to offer a way of short-cutting all this tedious playing with words. All religions have associated moralities and within the Abrahamic religions these have the sanction of divine revelation. Morality is what revelation says it is, obedience to God is the only acceptable response to revelation and within the content of that revelation, either in the form of scripture or divinely mandated authority, is all the guidance required for individuals and societies to live out the moral life in practice.